Samsung WF405ATPA SpeedSpray 4.0 Cu. 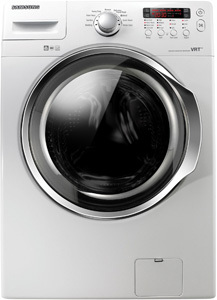 Ft.
As other washers, this one also features the Vibration Reduction Technology or the VRT. This helps in reducing the level of vibration and noise while at the same time helps the proper handling and the facilitation of unbalanced loads. 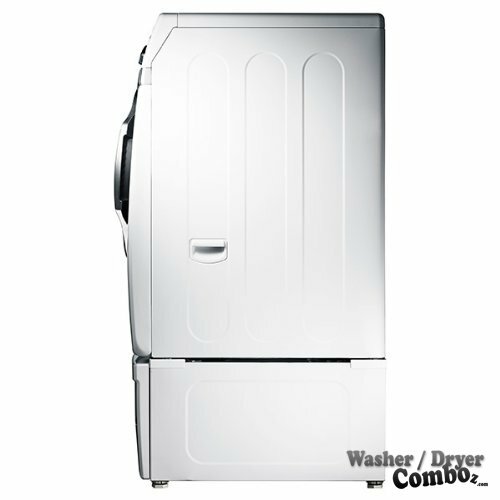 This is considered to be ideal washer for heavy bulks and large items. 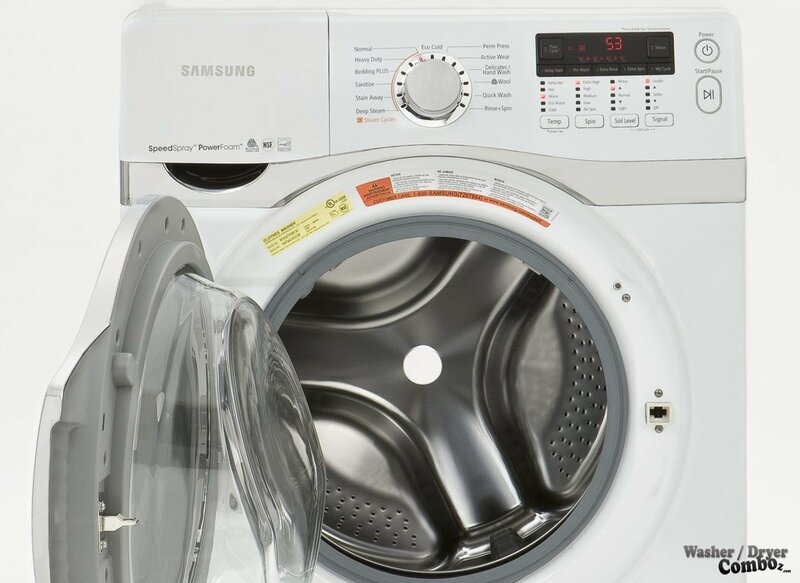 Furthermore, it also reduces the washing time for up to 15 minutes thus this allows you to save more on electricity and water. Its Power foam Technology is great in providing gentle yet powerful foam to accommodate heavy loads. 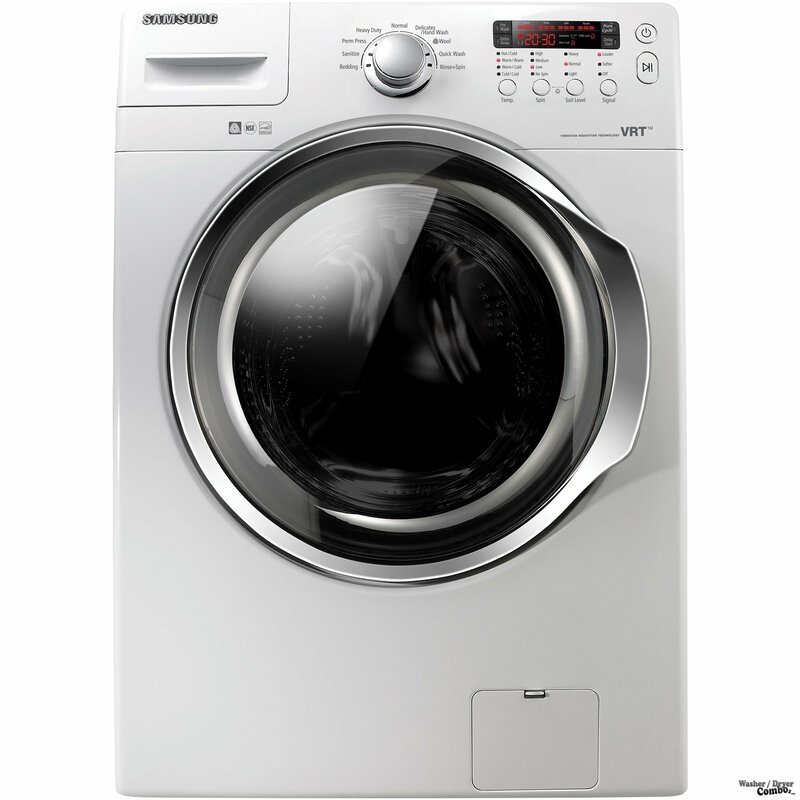 Overall, this machine cannot really offer anything better than the better ranked washers on my chart and that’s why it’s sitting on the 10th position. 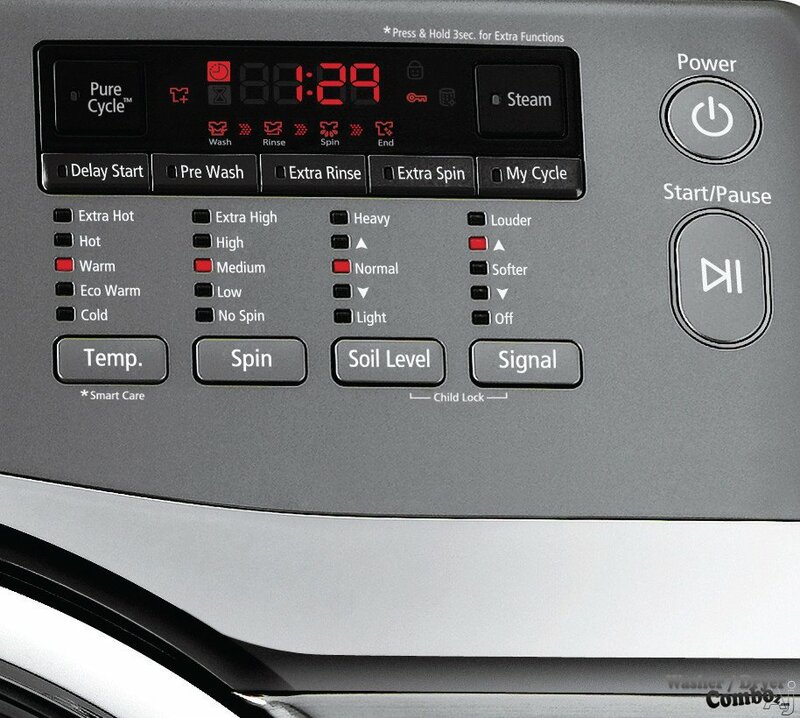 Nevertheless, I still think that if you decide for this washer, you’ll be satisfied. Capacity (cu.ft. ): 4.0 Cu. Ft. Features: – Thanks to its Steam wash power this machine can remove even some hard stains without any special preparation or a pre-wash.
– Its function SpeedSpray is on the other hand capable to save some significant time. The manufacturer states 90 minutes per load, which is huge. – exclusive PowerFoam function, which basically forms a soft foam with high cleaning capabilities. This especially helps in cleaning for example some large bulky clothes. – VRT (vibration reduction technology) function to make sure that the load is in balance on all speeds. As a result, the washer is really quiet. – Diamond Drum: specially design drum to increase the capability to remove hard dirt. This design also further helps to use water more efficiently thanks to its original, diamond-like depressions. I’m sorry but I couldn’t find andy video on this model. The door opens at the wrong way and is not reversible. 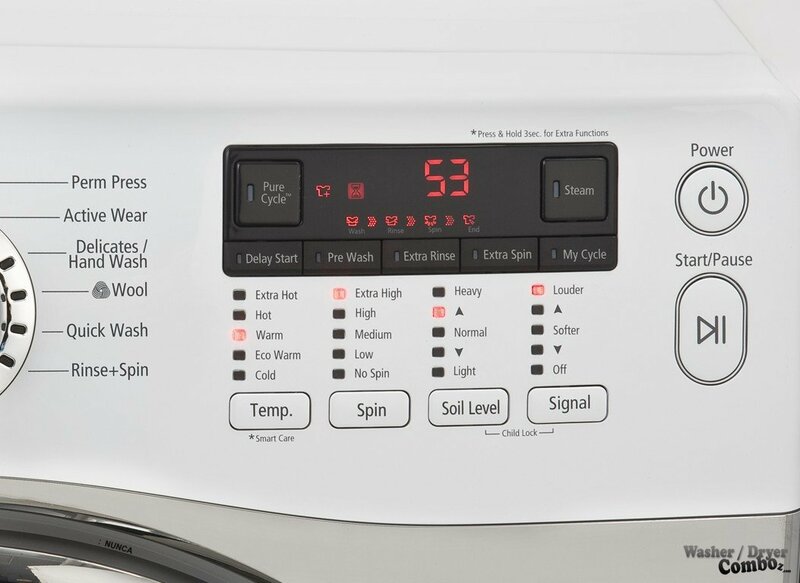 There is an equal distribution of rants and raves for this washer. 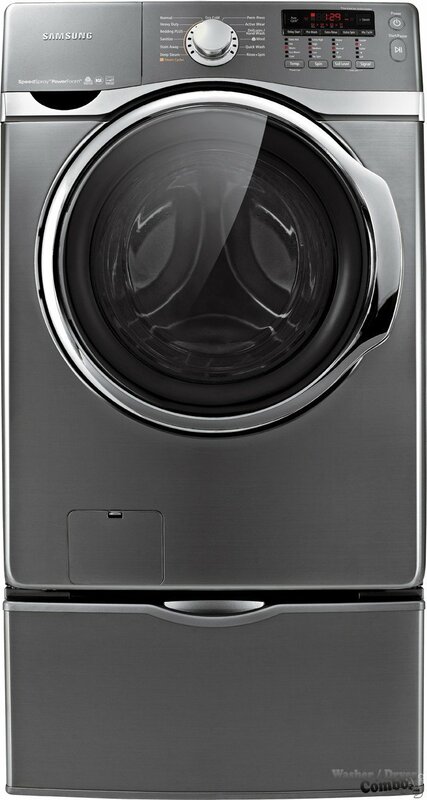 Most would complain of the features of the washer especially the door. But there are also some good reviews as they value the performance of the unit. Conclusion: As I mentioned the beginning, and you could read through the specifications and features, we cannot really find anything that would stand out. 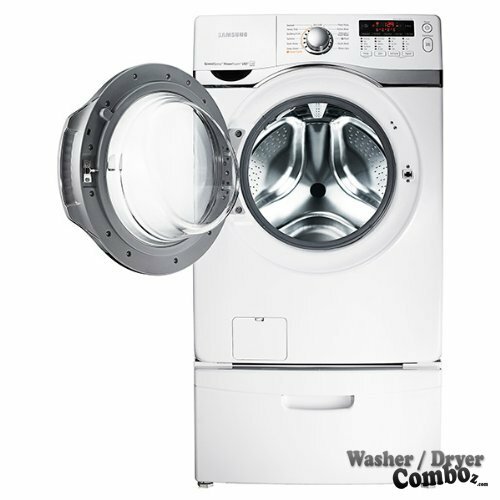 It’s a classic washer with a classic nice design manufactured by a trustworthy company when it comes in appliances and other products worldwide. 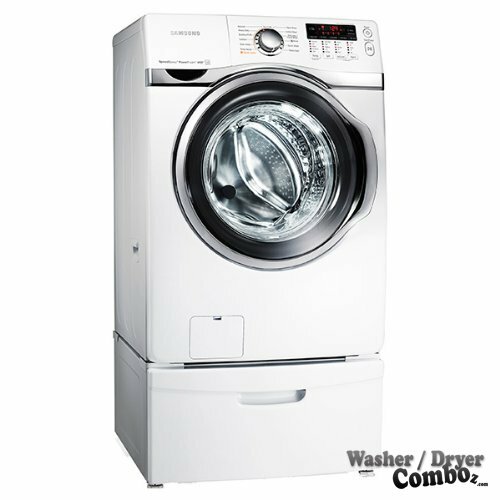 If I were to buy a washer, I would buy one of the higher positioned ones that you can find on my ranking table. It also depends on your personal preferences.